Subscribe? What does that mean?? Many sites now provide feeds of their content which you can subscribe to. This simple technology allows you to use software called a ‘feed reader’ or ‘aggregator’ to read content from sites instead of visiting the site itself. Don’t be put off by the acronyms like XML or RSS – this is genuinely easy to do. Why would I want to do it? If you like to keep up to date with a number of sites, you can now do so more easily with a feed reader. You no longer have to go from site to site checking for new content. This technology allows you to keep up to date with the content from a large number of sites. Using a feed reader you can subscribe to a sites feed. You can now read the sites content in your feed reader and the site’s feed will automatically update. The feed reader will usually have a way to visually let you know when there is fresh content from a site you are subscribed to, so you can see at a glance which feeds you need to catch up on. OK, so how do I do all this? First, you’ll need a feed reader, or ‘aggregator’. 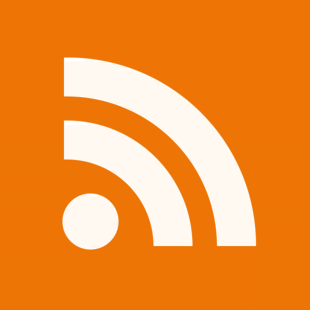 You can install a feed reader on your computer so that you have access to it on your desktop, or if you prefer you can use an online feed reader. If you are not comfortable installing software on your computer then an online feed reader might suit you best. Wikipedia has a list of news aggregators if you would like to explore some more options. Bloglines, which is listed above as a popular online choice is very easy to use. Sign up with them and when you log in you will see a subscribe button prominently placed on the screen. You will then be brought to a screen where you can enter the url (web address) of a site or feed. If you enter a website address, the feed reader will attempt to discover where that site’s feed is and subscribe you to it. If the feed reader cannot find the feed you will have to enter the feed manually. How do I know where a site’s feed is? These buttons are usually links to the url (web address) of the feed for that site or blog. That is the url you need to give to your ‘feed reader’ or ‘aggregator’ in order to subscribe. * Using RSS and Atom, from a non-technical standpoint. * What Does Syndicate This Site Mean? So where is the feed for this site? Pingback: Amarendra bhushan’s business blog » S60Tips.com Web-based Feed Reader - Bloglines or Google Reader?